BRS: Please tell us a bit about what you are doing now that you have finished high school and are beginning your second year at Cornell University. RM Prior to starting college I developed a weather forecasting website called Weather in The Hud. As I am extremely busy in school now, I have taken a break from the site, but I have a twitter [account] which I post quite often on, @weatherinthehud. Weather in the Hud forecasts for the Lower Hudson Valley/NYC, Connecticut, Massachusetts and much of the Northeast United States. My forecasts are based on professional raw data and my knowledge and inferences/predictions. Cornell was my absolute first choice for university because it has the best Architecture program in the country/world, and it also offers courses in meteorology and other amazing classes that I have wanted to take for a long time. It was a dream to get in. The campus is huge, but amazing. I spend 99% of my time in the architecture buildings, which are a 10-15 minute walk from the dorms. Being away from home is fine; although I do miss it…it is not hard. BRS: What is your day like? What do you find exciting? RM My favorite class is Architecture Studio, which I am in pretty much 12 hours a day or more. 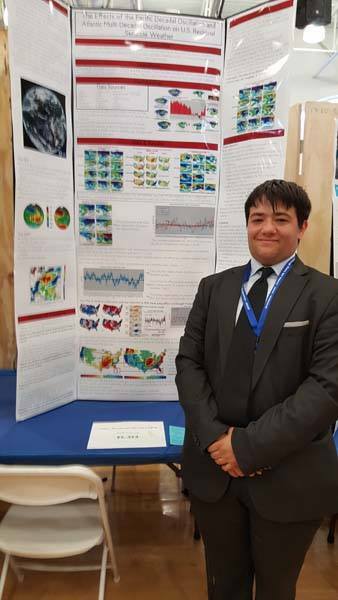 I also love Environmental Systems, and am doing research with the professor in that field, combining my meteorology and architecture skills. Everything, except for walking 20 minutes to get anywhere, excites me about my school. I began an internship with Arthur Chabon Architects in May of last year and have co-led and assisted on projects in Manhattan and New Jersey. BRS: How did Blue Rock influence who you are today? RM Blue Rock most definitely influenced my entire being. I cannot even explain it, but I doubt I would be doing architecture if I had never gone to Blue Rock. It is hard to explain. Possibly one of the biggest things was the sense that I could do anything I wanted. Man, did I do a lot at BRS. RM BRS is a special place, no doubt. I have too many stories - from fun times of playing pranks, to boat building, to work days, to helping design and build a small greenhouse/cold frame on the campus. Remy also played an incredibly important role in expanding our school ceramics program. During art class, our art teachers often work with the children using clay and other moldable materials for sculpture and building. With his passion for art and architecture – constructing and designing objects and buildings— Remy had enjoyed making objects out of clay at an outside pottery studio and at Blue Rock. For his mitzvah project during his middle school years, he decided to create and implement a fundraiser to purchase a kiln for the school so that the students could experience the joy of firing the objects they had made. Working at the pottery studio during his free time, he threw 60 bowls on the wheel, glazed and fired them. He then invited teachers, parents and friends to a beautiful dinner at his home in Westchester. Attendees were invited to choose a bowl and make a donation (of any amount they chose) towards the purchase of a kiln for the school. The inventive evening of fellowship ended in enough funding to purchase the kiln and an additional pottery wheel. Remy’s generous sharing of his artistic gifts has been greatly appreciated by all of the children at the school and summer camp, and the kiln is fired up regularly with their work. Remy being recognized for gifting a kiln at the Inauguration of the Arts & Nature Study Annex. Remy and classmates designing and building a cold frame for the school’s gardening program.